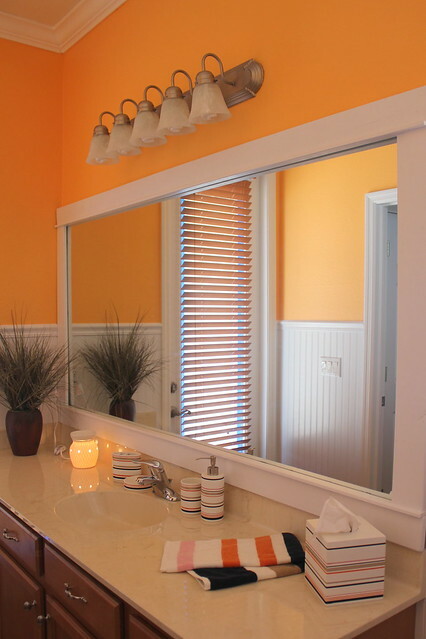 We’re not talking about italian ice today, but the color of our guest bathroom downstairs. We call this the “pool bath” since there is an exterior door that goes right out to the back patio. Unfortunately, there is no pool out there on the patio, but that’s what it’s called nonetheless. is available for guests to use… got it? Good. 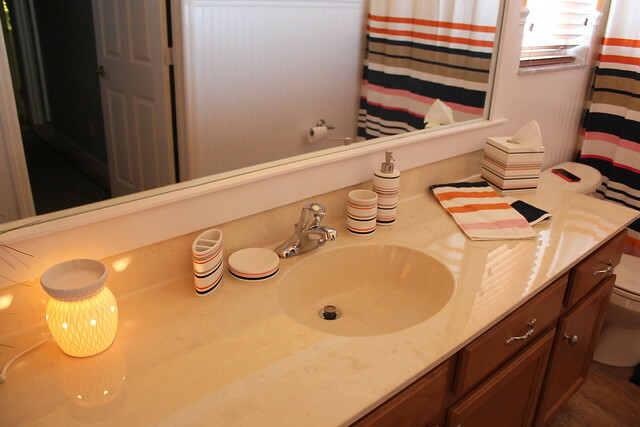 Much like the rest of the house, the bathroom was pretty boring when we moved in. 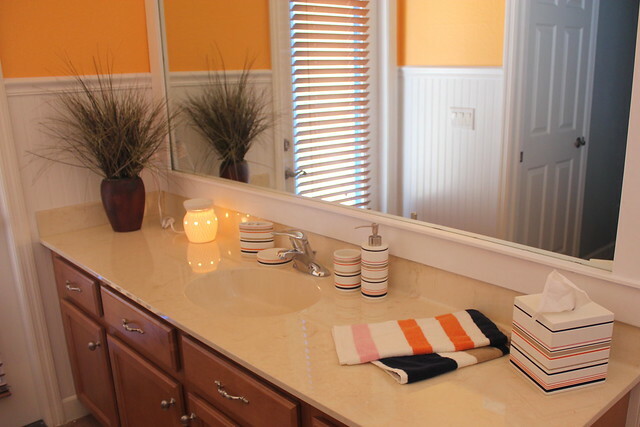 White and basic with the standard builder grade mirror, light fixture, and towel racks. 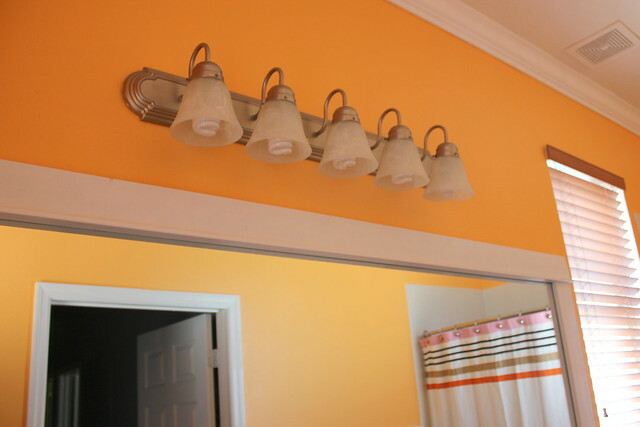 Several weeks ago, Greg found a light fixture on Craigslist for $35! to paint the bathroom since the light was already off the wall. and framed out the mirror. 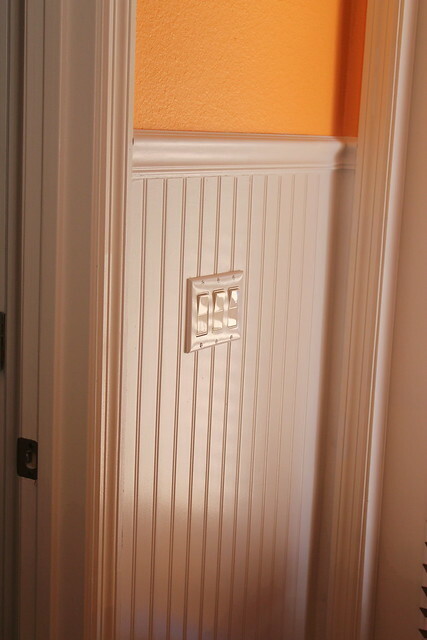 Greg confidently said that this would be the last crown molding project he’ll complete. For some reason, it was much worse than the family room project. but it’s the Kate Spade Candy Shop line from Bed, Bath and Beyond. but I foresee us using it soon for some baby baths. gets used every day, even if it’s not by guests. 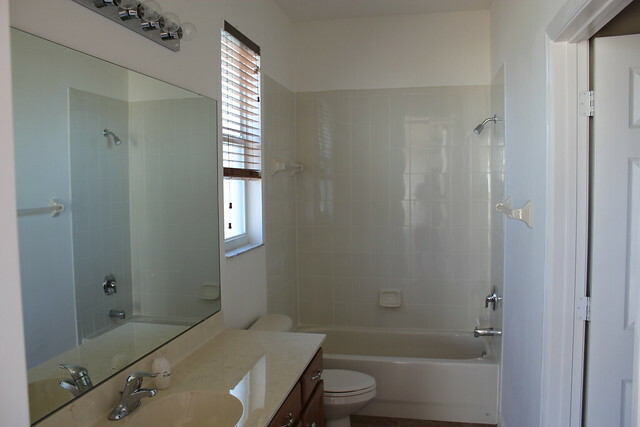 trampling back and forth from the pool to the bathroom that it’ll be the perfect color. 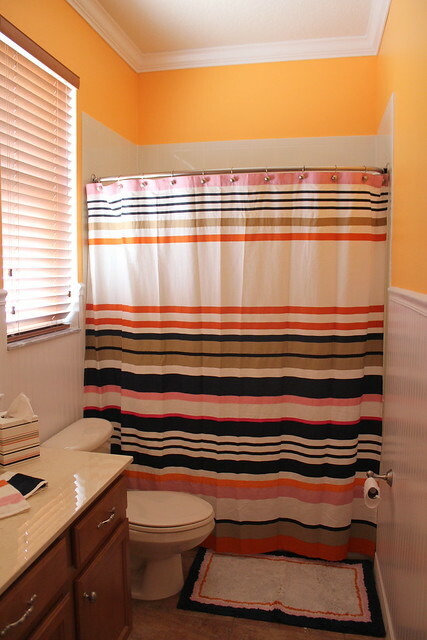 Have you done any bathroom updates lately?